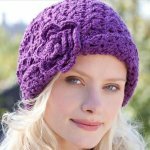 If you are gifted with the talent of excellent crocheting, then just do not make it limited to the scarves, hats, gloves or any other such winter warming stuff. 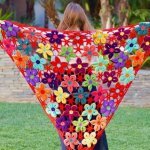 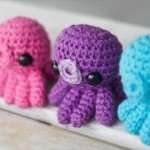 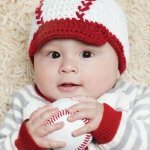 There is much more to explore from this art of crocheting only you need to get the new ideas and designs to take your crochet skill on a further level. 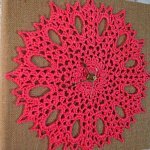 And don’t worry you don’t need to spend hours on internet to get newer things done with crochet hooks as we are doing it on your part. 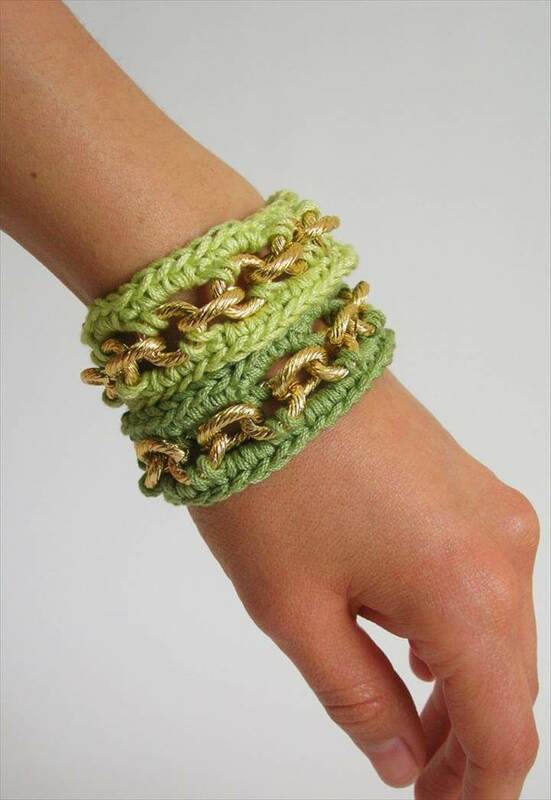 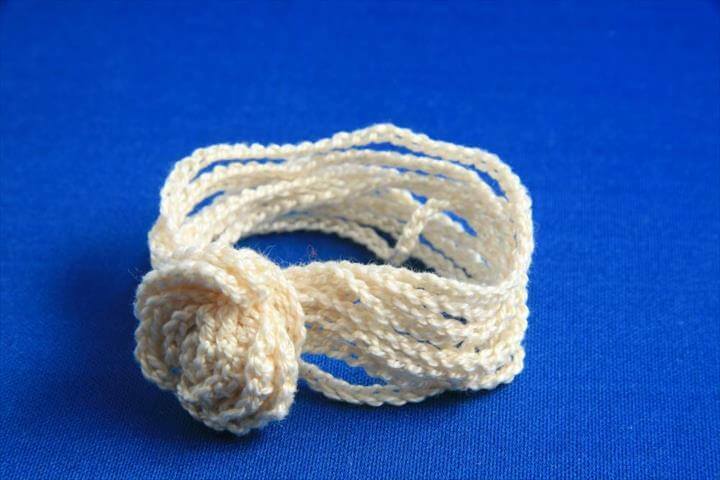 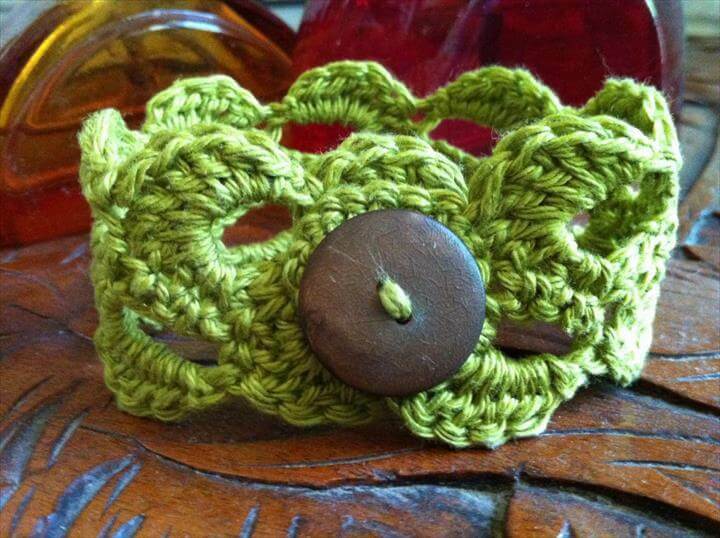 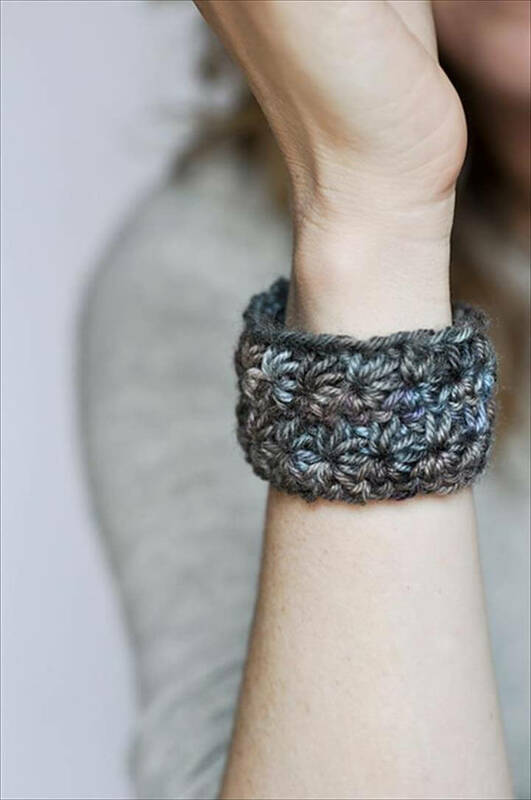 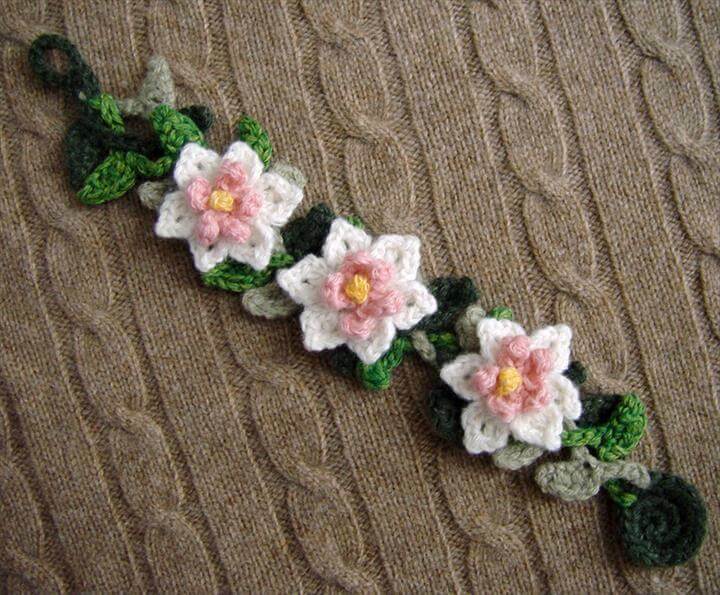 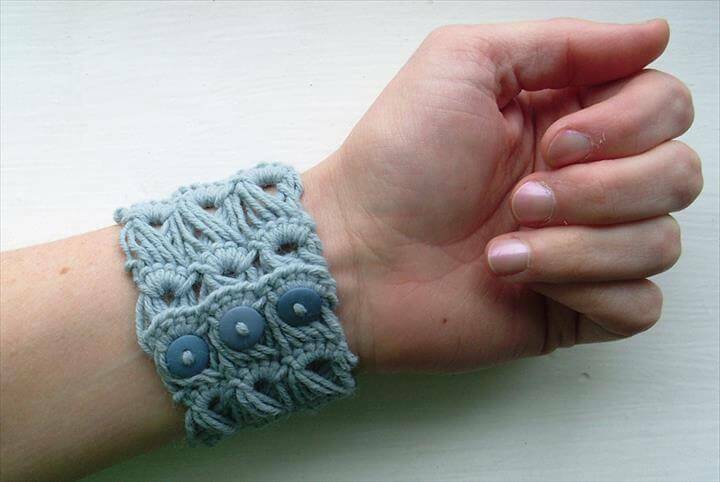 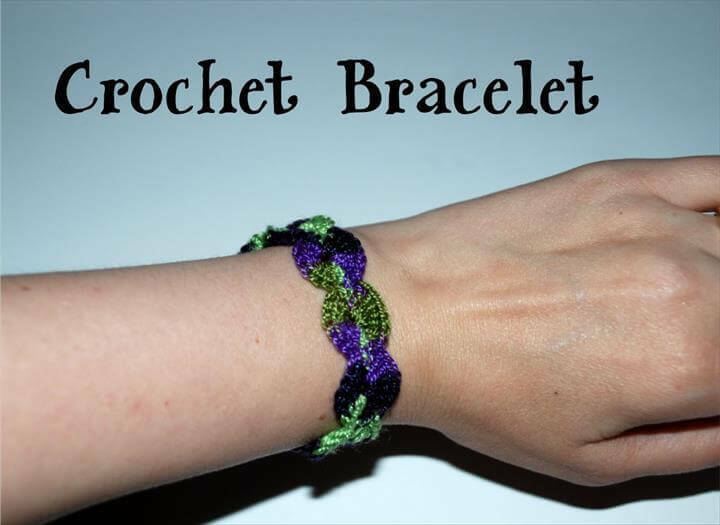 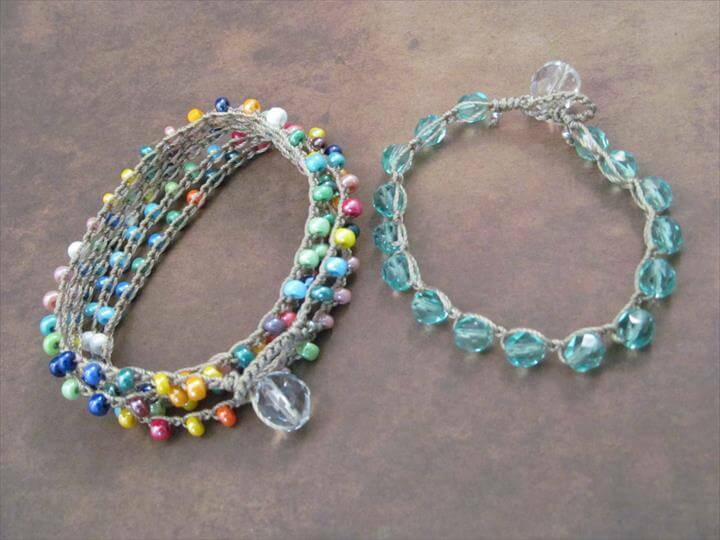 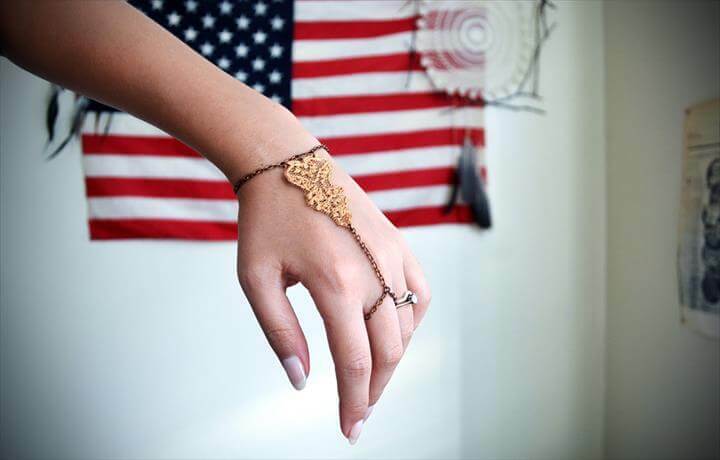 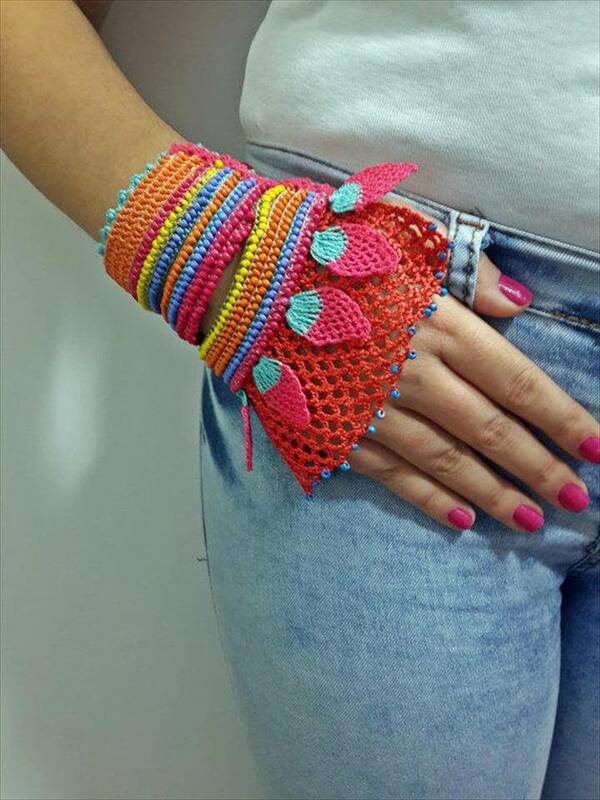 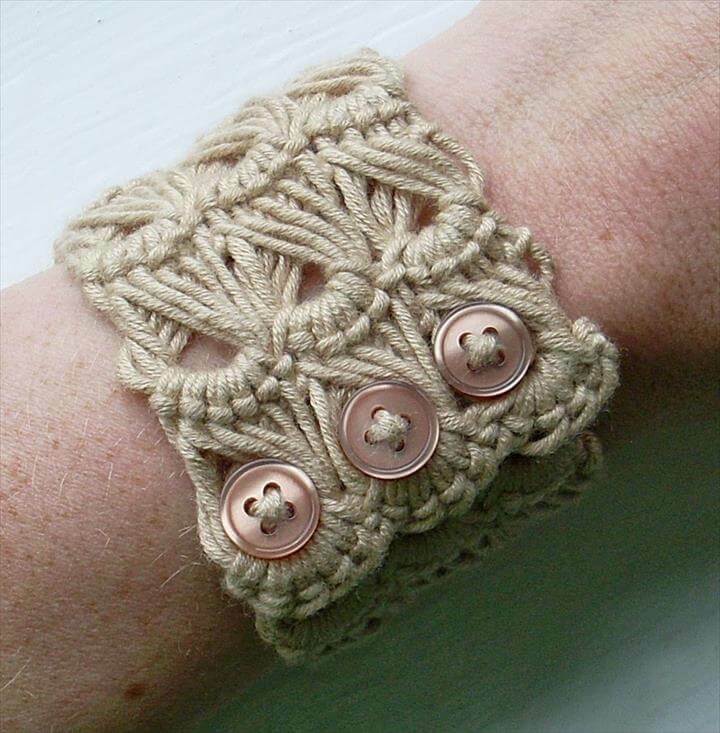 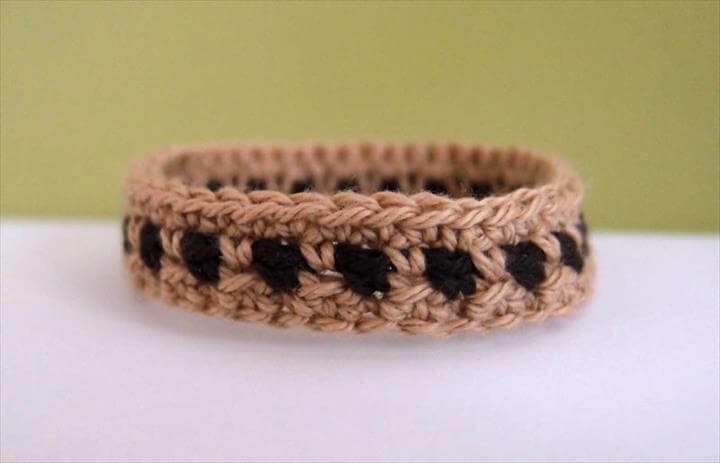 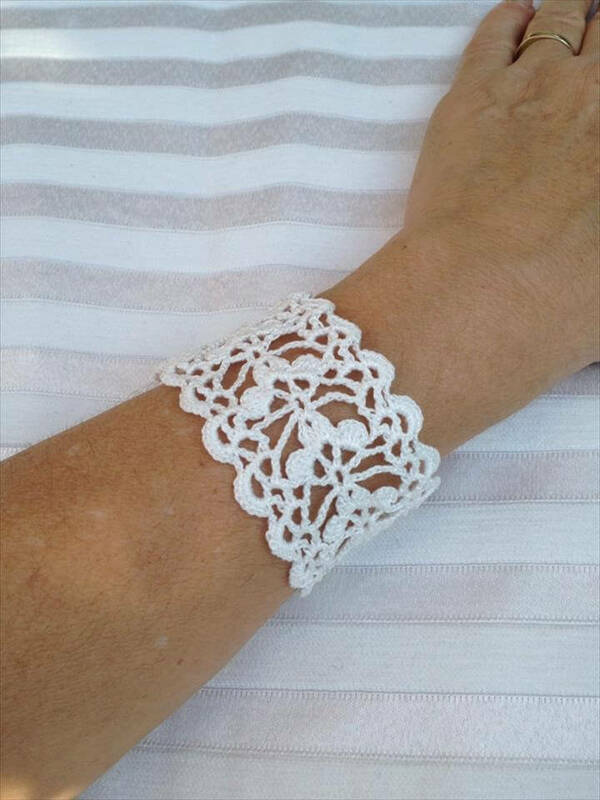 So how about get yourself some amazing crochet bracelets? 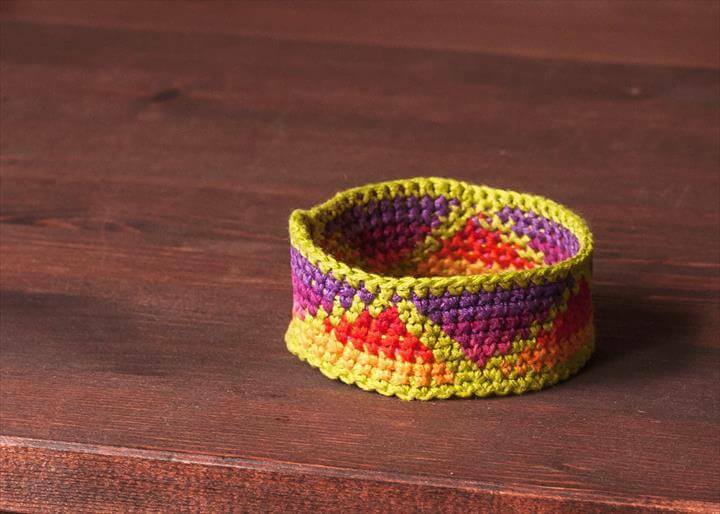 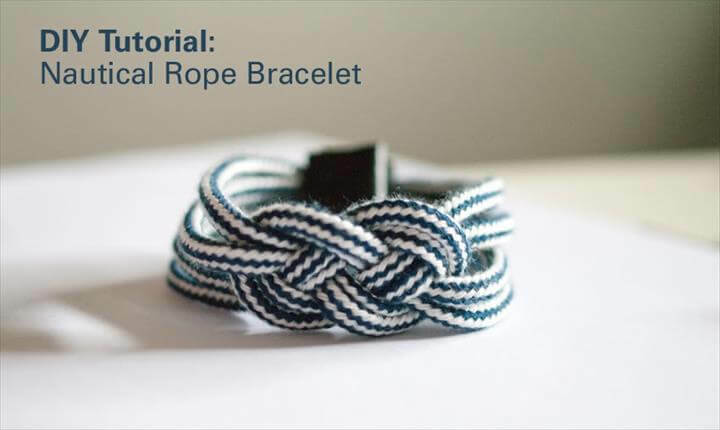 Yes with the some colorful crochet yarns crochet sticks you can now get some cool and fun looking DIY bracelets to enhance the beauty and style of your formal and informal looks. 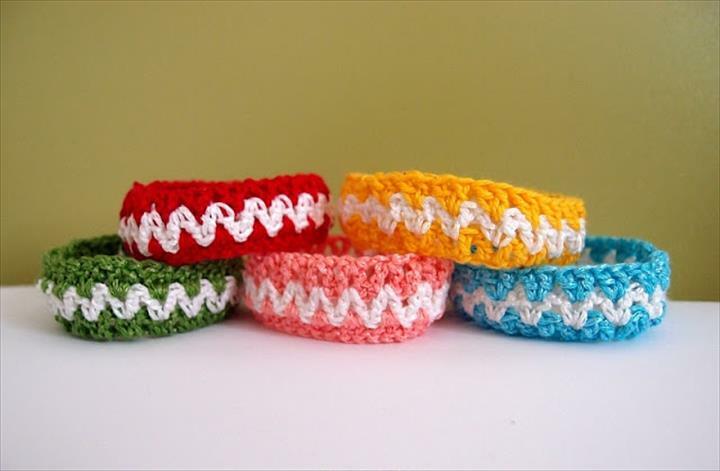 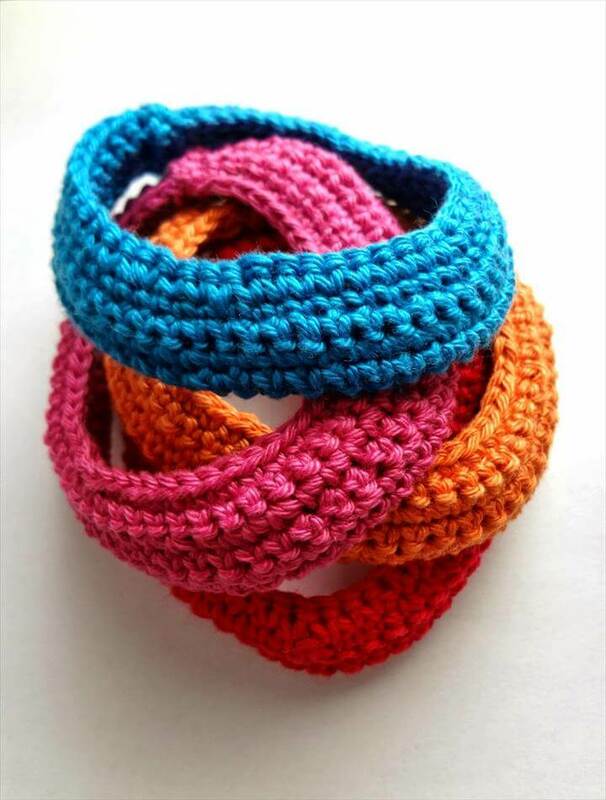 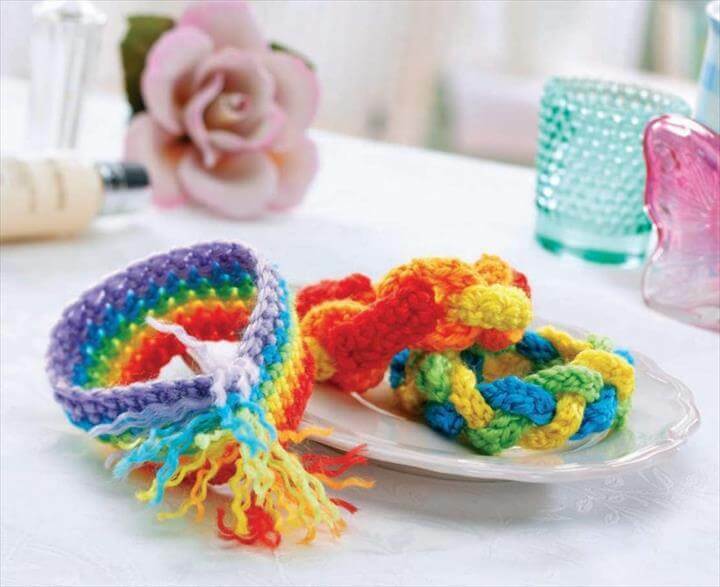 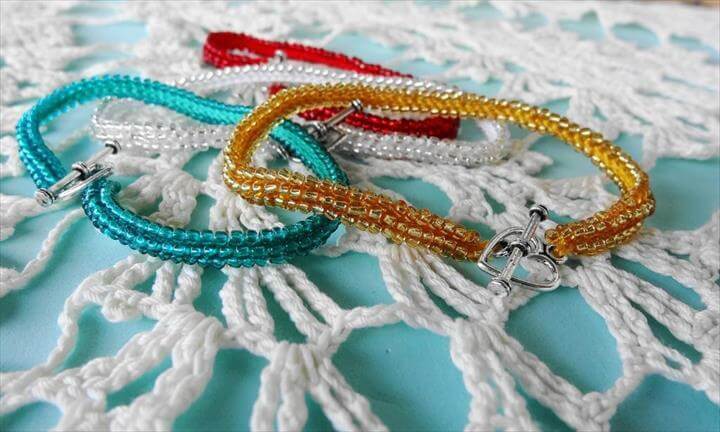 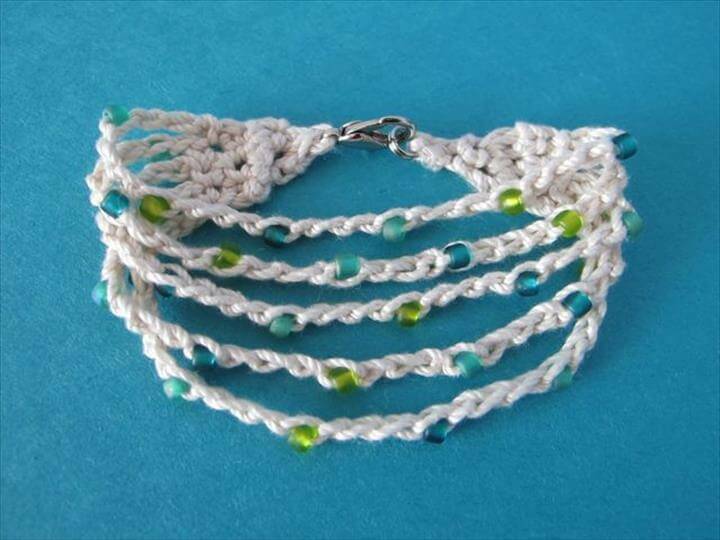 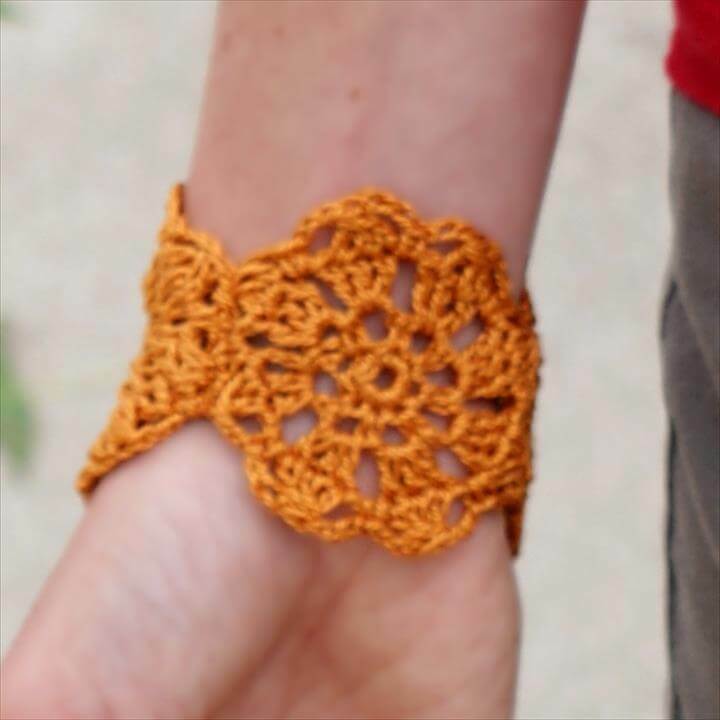 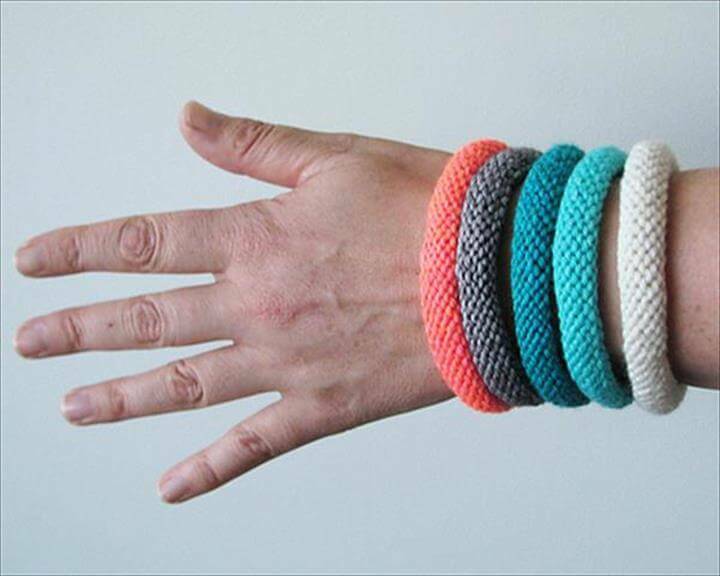 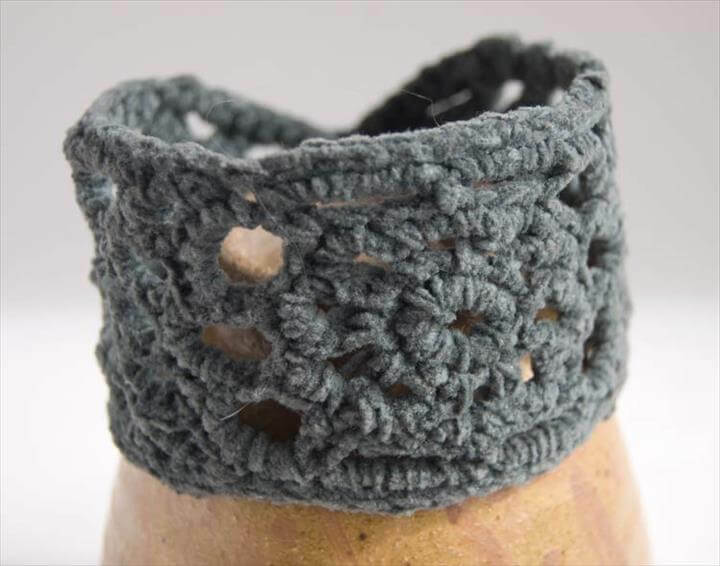 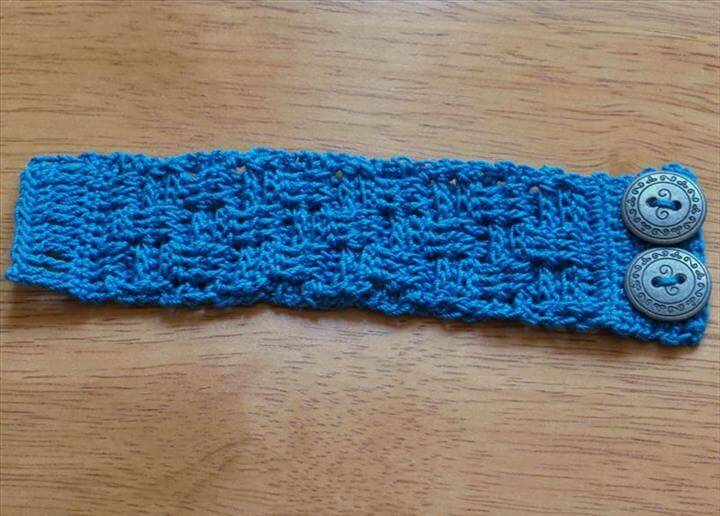 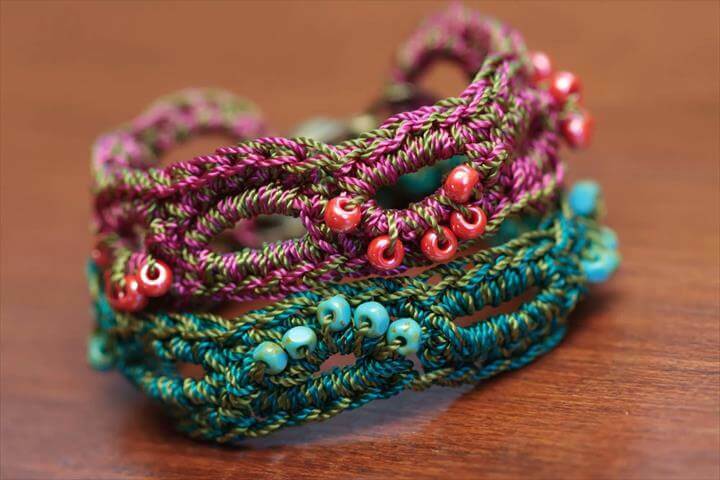 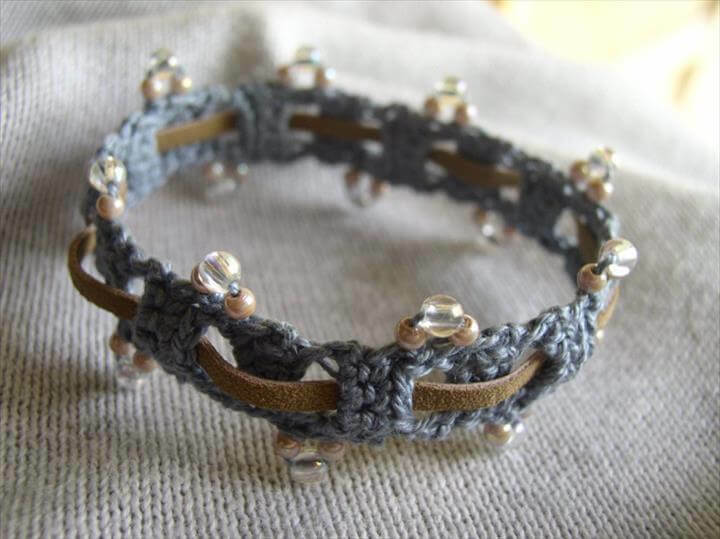 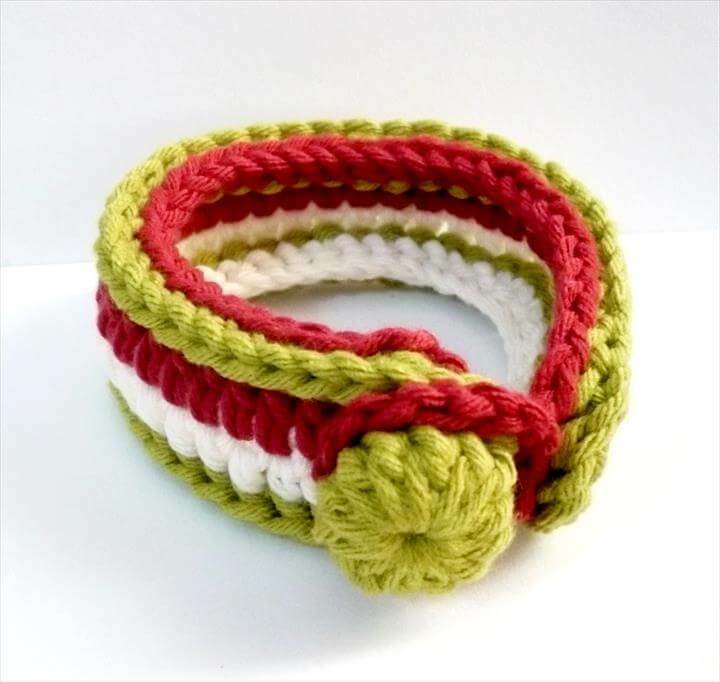 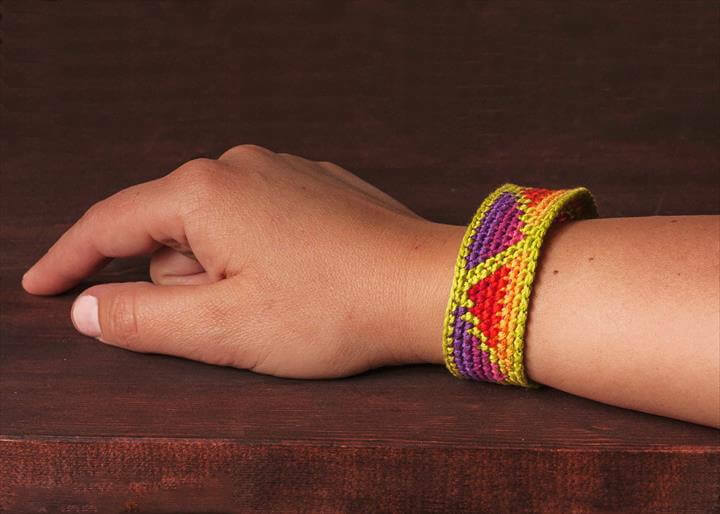 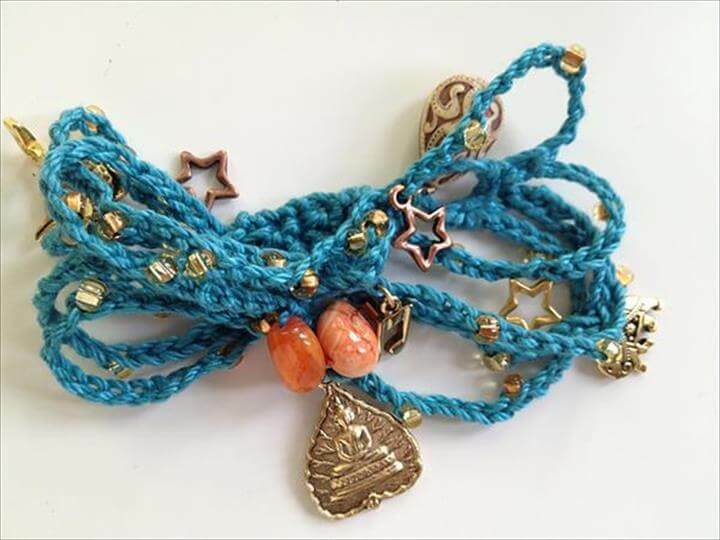 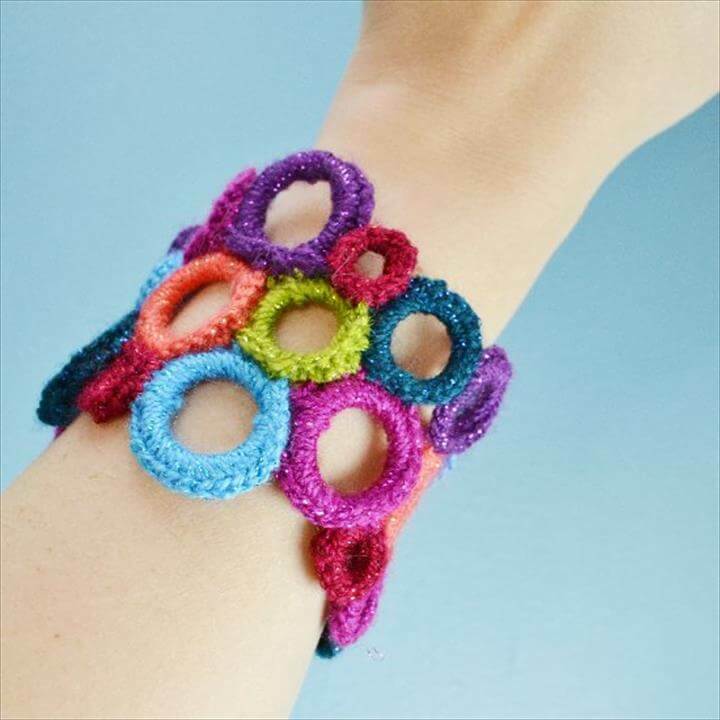 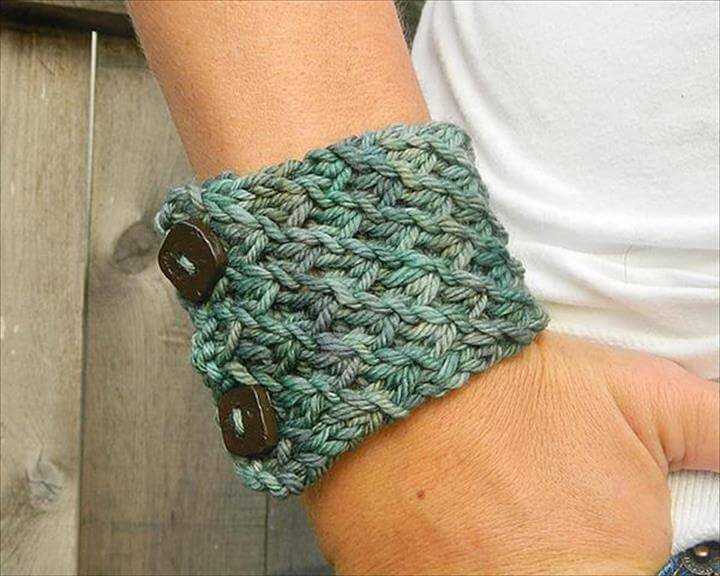 And not only just ten or twenty we have gathered a big round of these 60 eye catching crochet bracelets for you to have a deep look into and to choose the most adorable design to get your hands dirty with. 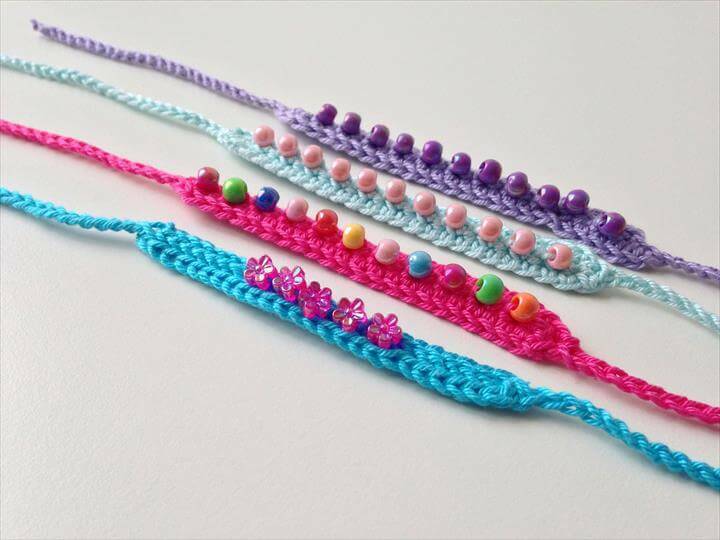 Simple and soft, funky and colorful all types of bracelets are in the list to let make a choice according to your taste and personality. 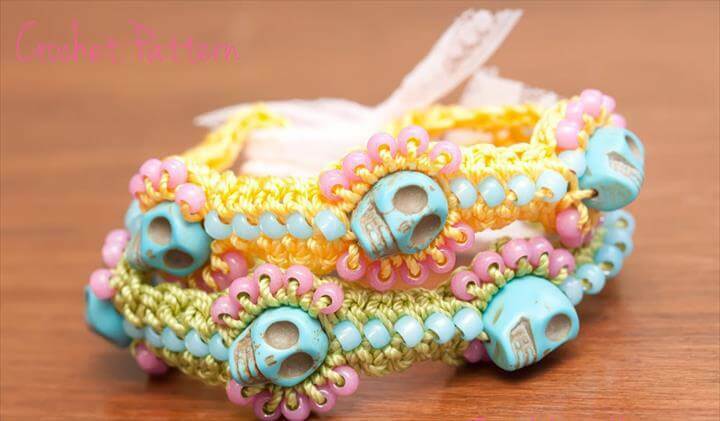 Mixing the yarn with some beads, pearls, chains and buttons the crochet bracelets looks just fabulously pretty to intensify the glam and grace of your wrists. 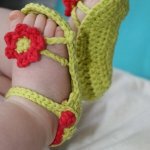 So, without further ado scroll down the whole collection fast, and pick up your favorite designs to compliment your summer or winter dress ups.